Every year for Christmas my son gets a ton of these candy tubes! Last year, after throwing some away, I decided to play around with them and see if I could turn them into something worth keeping. I ended up doing just that! Not only will I be keeping some of these for myself but I will also be giving some out as gifts! They are both adorable and inexpensive to make! And they make a perfect gift for teachers, neighbors, and friends! 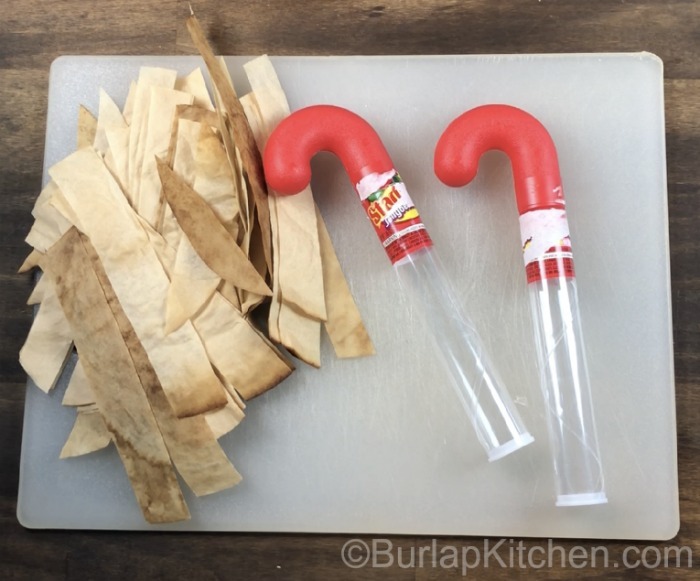 Step one: Cut Coffee Dyed Filters into strips. Step 2: Paint strips with mod podge and begin to wrap them around the candy cane. I normally start with the ends. You can get a better idea of how I do the ends by watching my youtube tutorial that will be posted later this week. 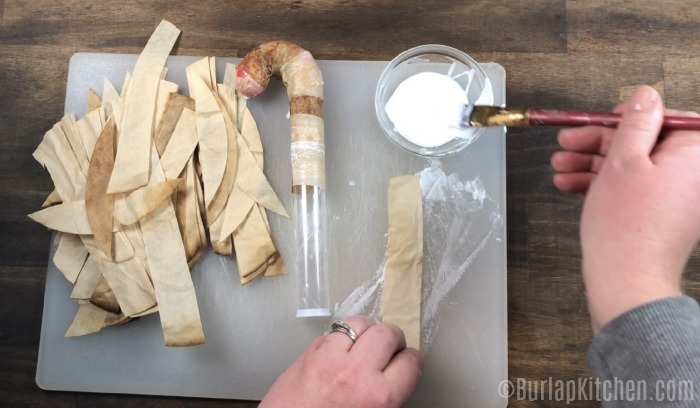 Do this until none of the candy cane tube is showing through the coffee filters. Sometimes you may need to add a few more after they dry. Step 3: Once the candy cane is completely covered in coffee filters and has dried add the material. 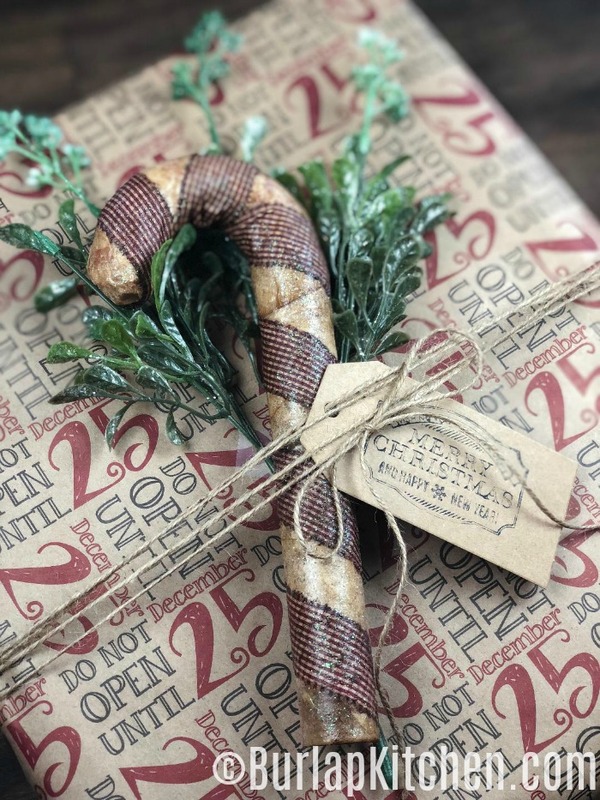 To measure the size of the material needed, cut the material to the desired thickness then wrap it up the candy cane and cut. 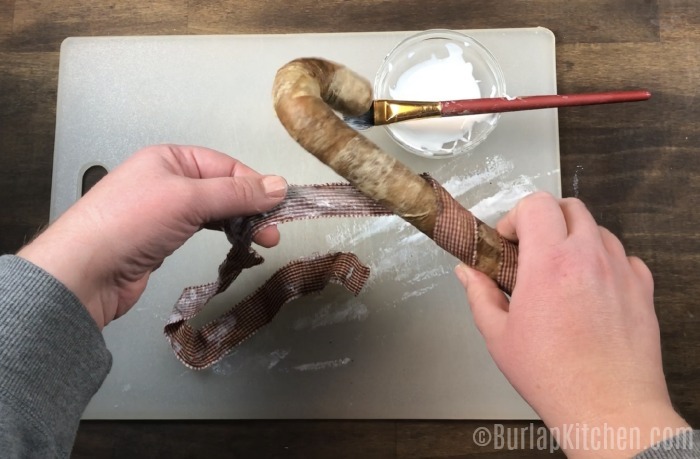 After doing this you can then secure the material on the candy cane using mod podge. Step 4: Give the entire candy cane a nice coat of mod podge. 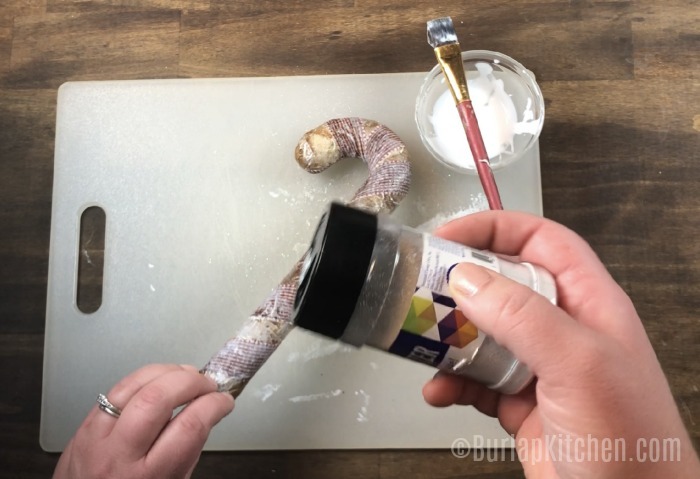 While the candy cane is still wet add a small amount of glitter. I like to use the fine white glitter for this. After adding the glitter, give one more thin coat of mod podge to seal the glitter. Once my candy cane was finished I decided to dress it up some! I had some leftover (mistletoe?) sprigs I bought at Walmart for $.98 cents last year. 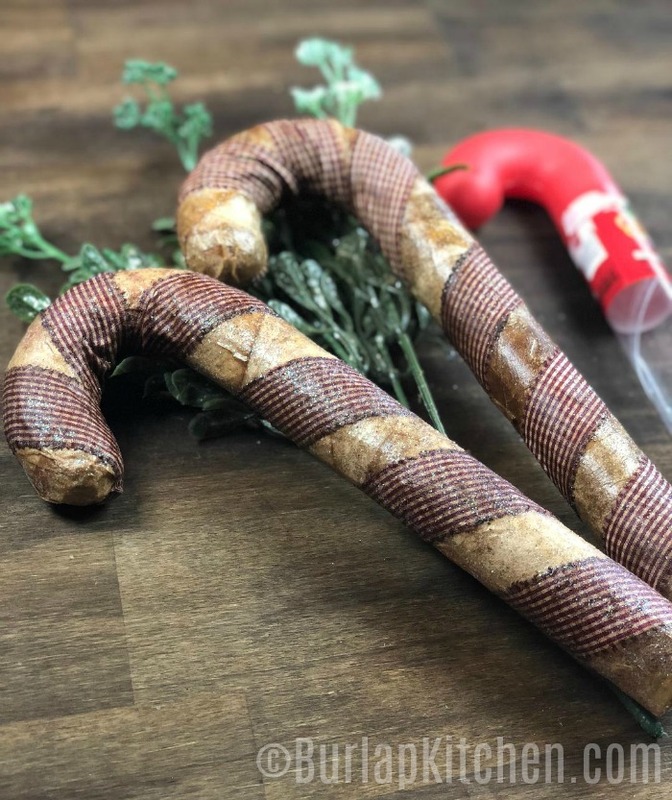 I tied one of the sprigs behind the candy cane using twine. I also tied on a little Christmas tag I made.